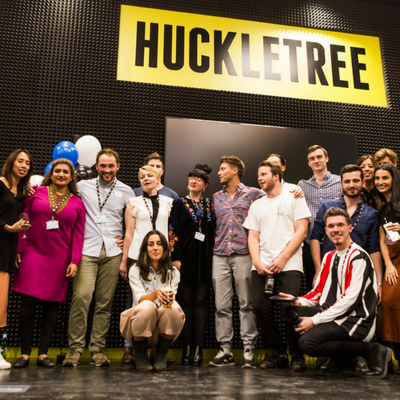 Huckletree is a workspace accelerator bringing together a diverse, disruptive community of startups, scaleups, innovation teams and global brands - all powered by the belief that collaboration is key to building a successful business. Our global network of members inspire, challenge and work with each other across London and Dublin. This is a community for the curious. We make room for the creative minds, the innovators, the problem solvers. We build the spaces where they come together. Where creativity meets talent and curiosity inspires innovation. This is more than a workspace, it’s a playground for the mind. You’re working hard for something you believe in. Blend business and leisure, find balance. This is a place where you bring your whole self to work. We want to empower you to grow your business and your mind, even if that means one day you’ll outgrow us. You’re the curious, the ambitious minds who want to make an impact. And finally you’ve found your place. Once an aspiring actress who didn’t get very far (let’s not talk about it) I wisely chose to change careers upon coming across the concept of coworking in New York. I’m passionate about bringing interesting people together and I support entrepreneurs both in Huckletree’s community and beyond. I’m an adrenaline junkie who loves exploring the world with my husband and my son Jack. I’m also passionate about creating handbooks. No, really. Although the full beard and spotty trainers scream the opposite, I was a man in a suit until I was introduced to Huckletree and saw the light. I advise founders across a wide range of sectors, helping them with fundraising, finance and strategy. You can find me playing rugby, having fun with my daughter Edie, and reading the biographies of people you’ve never heard of. Changing the world? It’s no fun going it alone. 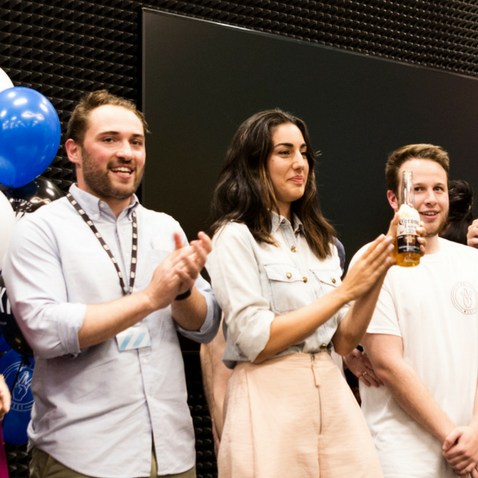 We believe awesome people work best when they’re surrounded by other awesome people. We curate our members not just on the strength of your business, but on what you'll bring to our existing community. Need help along the way? You’re in the right place. Our team hail from the world’s best tech, lifestyle and startup brands and are on hand to support you as you take your business to the next level. From intros to industry experts to exclusive event invites, we’ve got it covered.